Note: This post is about Exactly Like You, which is on sale this week until December 1. Here’s a quick buy link from Amazon or hop over to the book’s page for a list of retailers. Further note: I discuss in this post heroines I’ve written with depression and one who is a former cutter, so trigger warning. When I wrote my last book, Exactly Like You, I wanted to do something I didn’t often see done–tackle depression in a hero/heroine. I know I’m not the first to write about this, and won’t be the last. And that’s great news because the stigma associated with mental illness needs to be blown away. Roxie’s life had been decimated by some difficult situations (her sister’s suicide and a traumatic event at her former job as a social worker). She’s not sad or down; she’s lost in the quagmire of clinical depression. And it scares her parents and, eventually, Aidan so much they sort of stop seeing her and only see the disease. I loved that Ms. Sizemore was able to write a story dealing with a difficult subject and not make it cliche or overly dramatic. Roxie’s struggle is real and she owns her struggle. The story tackles an issue of depression, it also portrays it so well! Roxie’s mental battle is so well written, you can really understand her anxieties and irrational thoughts that come with depression. I’ve read a lot of books where somebody is battling with depression and everything is just constant sadness. Which isn’t what depression is. This book portrayed it perfectly. Falling in love doesn’t solve every problem and it shouldn’t make a character complete. What it should do, in fiction and in real life, is make us want to be a better version of who we are, the whole person we can be–if we’re willing to put in the work. 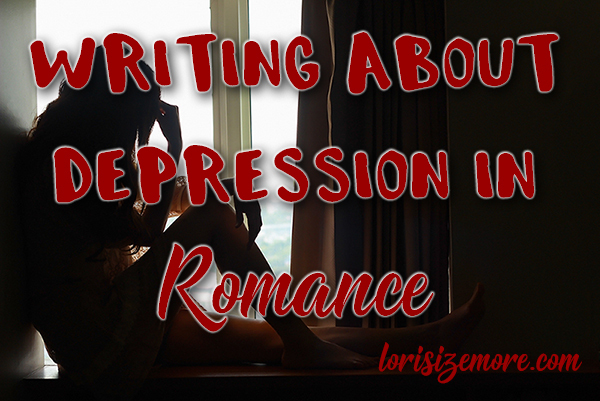 It’s why I love writing romance and why I’ll keep creating messy, real characters to populate my books. Next year, the first book in my Viva Las Vegas series, My Fake Vegas Boyfriend, debuts on February 6. The heroine of that book is a former cutter who uses photography as an outlet for the strong urges she still has to bring emotional relief with cutting. I love her, I love the hero and heroine’s journey. For now, check out Exactly Like You while it’s on sale and get ready to Vegas it up next year, fifties style. Good for you to take on controversial topics in your writing. We can all learn by bringing these issues out in the open. All the best success. Thanks so much, CB. I’m not sure I can write characters any other way. These people speak to me.